The EL1904 EtherCAT Terminal is a digital input terminal for sensors with potential-free contacts for 24 V DC. 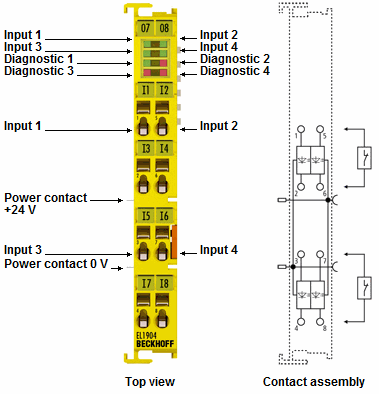 The EtherCAT Terminal has four fail-safe inputs. The EL1904 meets the requirements of IEC 61508 SIL 3 and DIN EN ISO 13849 PLe.